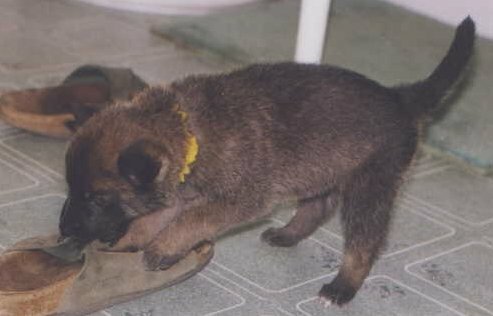 The Rumor litter was Tessas first litter. 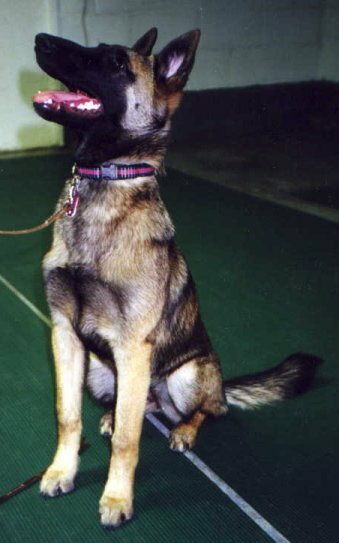 HUGE congrats to Diane and Brady as on May 18, 2003 They became the FIRST Malinois to pass AKC's Variable Surface Tracking test! 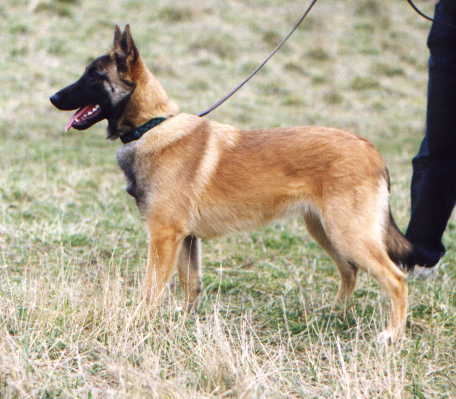 Brady is the FIRST Malinois VST and the FIRST Malinois CT - Champion Tracker! OFA Good, BM-970G27M-T; OFA Elbows, BM-EL215-T, CERF BM-398/1999-19. 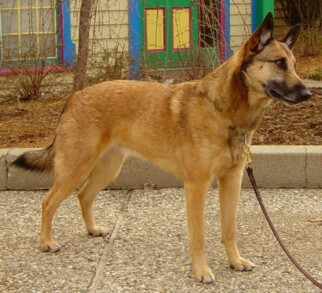 Brady lives in Illinois with Diane Muzzey. 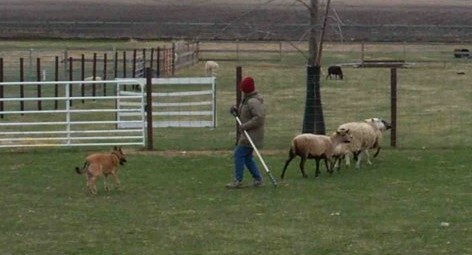 Brady is a devoted tracking, obedience, "Gardening" and now HERDING dog. 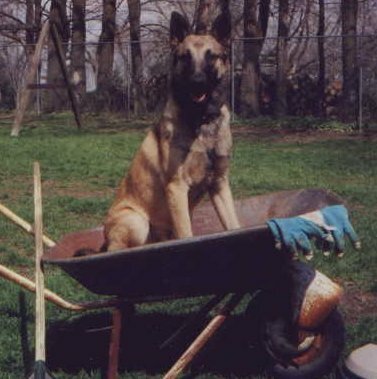 Brady and Diane earned his Variable Surface tracking dog title thus becoming a Champion Tracker on May 18, 2003! Brady earned his Tracking Dog Excellent Title 10-20-02! 10-2-99 Congrats to Brady and Diane (owner and handler) Diane, on following in O'Neill's footsteps. Diane and Brady are having a great time with the sheep. May 2005 Brady makes his way back to the herding arena - New Herding Tested title and then on to his Herding Started on Sheep title! 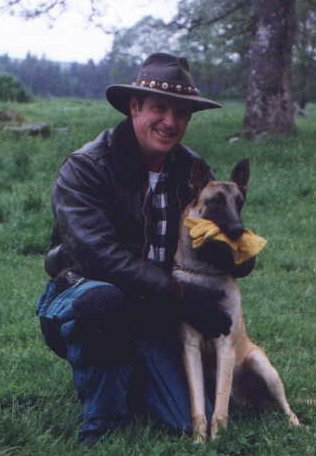 Pictured at 8.5 months, lives here in Oregon with Devin Johnson. He earned his TD at 8.5 months of age. 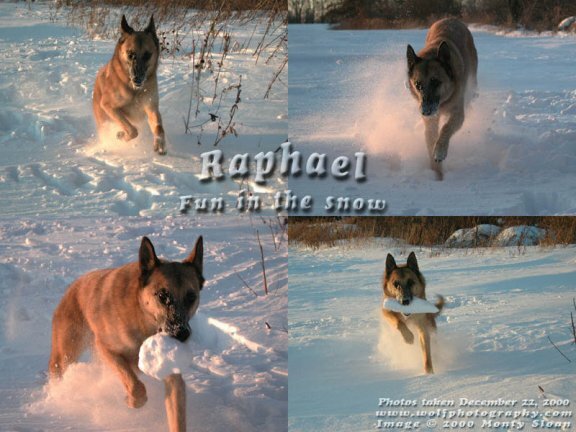 Pictured at 3.5 years old, having a blast fetching "chunks of snow! Also PLEASE do vist Monty's amazing web pages and wonderful photography of wolves! Savannah at 2 years in the arms of her owner Valerie. 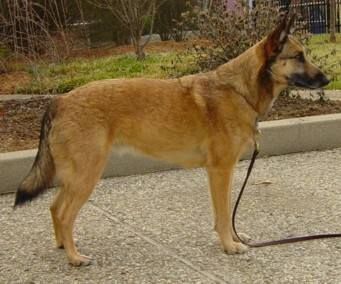 see more pictures of Mushka and her owner Adia on the photo album page. Mushka also lives in Southern Oregon. receiving "Excellent" ratings at each show.